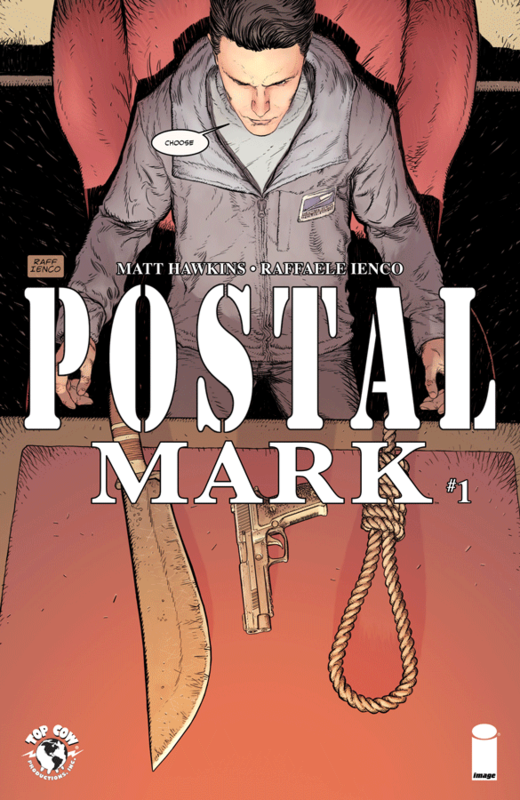 Postal: Mark #1 Review – AiPT! This combo of one-shots is well on its way to making a perfect endcap to one of the best comic series on the shelves. You thought Postal was over, didn’t you? Thankfully, it’s not. In addition to the series returning at some point in the future, original series co-creator Matt Hawkins is topping off Bryan Edward Hill’s brilliant run with a couple of character-centric one-shots. This week, we check in on Mark. Pretty sure this crow knows something. Good lord. I know Mark’s taking his leadership position seriously, but that might be crossing the line a bit. “When she’s happy, my life is better.” Amen to that, brother. Geez…I thought the story of Mark’s sister was tragic enough with what little we knew, but this is brutal. You know what’s fun? Seeing Isaac scared. Okay, now that crow from the beginning of the book is just being an a-----e.
I wasn’t sure how I’d feel about an issue of Postal that wasn’t written by Hill and drawn by Goodhart, but this was great stuff. Raffaele Ienco’s pencils are superb. The characters can look a bit static at times, but the brilliant renderings make that an easy sin to forgive. On the story side of thing, Hawkins does an excellent job jumping write back into the characters he left in Hill’s hands a few years ago. In addition to getting some more background on one of the series’ biggest characters plot devices, we get a fascinating glimpse at how Mark is adjusting to life as the person in charge of Eden…and the son who must once and for all end his father’s reign of terror over everyone within his sphere of influence. I do wish we’d gotten some more time with Laura (especially after the cliffhanger from last issue), but I have a feeling that will get taken care of next month in Postal: Laura #1. Otherwise, it appears that this combo of one-shots is well on its way to making a perfect endcap to one of the best comic series on the shelves. It might not feel like the other issues of Postal, but it sure makes a great endcap to the series. Raffaele Ienco's pencils are superb. If you've been waiting to see Mark finally give his dad what he's had coming, this is the book for you. The characters look a bit static at times.